Have you ever met a patchwork man? Lawrence Juste is one. The QC with a conscience - privileged, reputable and emotionally frozen. The perfect barrister. But Lawrence hasn't always been who he is now. When he is glaringly in the public eye after his enigmatic wife is killed in an apparently random hit and run, he could do with his hidden past surfacing like a hole in the head. 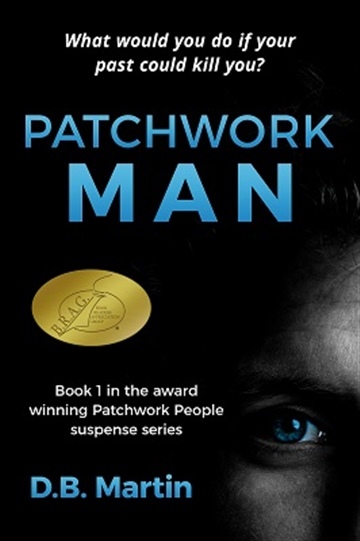 Patchwork Man is a fast-paced psychological thriller with a complex world of characters and intrigue, whilst evocatively recreating the chaotic and poignant childhood that has led Juste, the patchwork man himself, to its chaos. 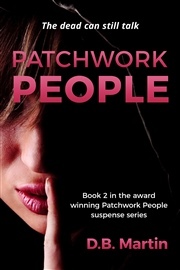 Patchwork Man is the first in the Patchwork trilogy of murder, mystery and lethal relationships. Debrah Martin is a British author writing in a variety of genres. Writing as D.B. Martin, the Patchwork series is a trilogy of suspense thrillers following Lawrence Juste, a British barrister, as his life unravels. The final book in the trilogy will be released in 2015, but a new series, starting with Iniquity will be following shortly afterwards. Or if If you're a fan of Veronica Mars, Nancy Drew, Janet Evanovich's books on Stephanie Plum or Meg Cabot's Size 12 books featuring Heather Wells and want more fly-on-the-wall teenage realism than fictional fantasy, check out her YA fiction. 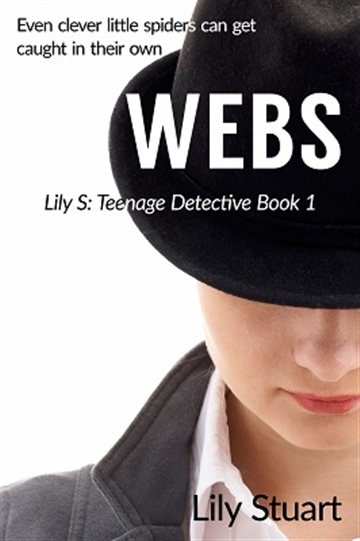 Featuring sixteen-year old protagonist, Lily, blazing the way forward in a flurry of teenage wit and sarcasm in 'Webs', the protagonist also becomes the author in this teen detective series penned under the name of Lily Stuart. "...best read of the year without a doubt..."
"Martin’s ability to hold you in suspense is uncanny. I finished the book in two sittings." "Martin is known for ability to make a description literally sing. This work is no different. She leads you on an adventure that has highs and lows but never a dull moment."